Welcome to the Key Peninsula... the backyard playground for the Gig Harbor and Kitsap Peninsulas... and the gateway to Olympic National Park! 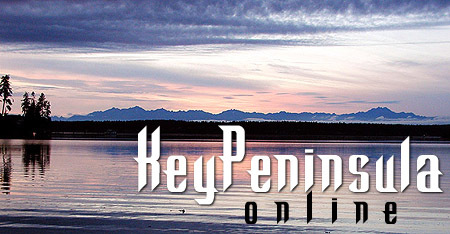 This is the most comprehensive and up-to-date online Guide and Directory for the Key Peninsula. We hope you find what you are looking for here. If you have questions or suggestions, please direct them to the e-mail address below. Thanks for visiting KeyPeninsula.Com... and have a great time on the Peninsula!